Washington, DC, February 22, 2016 — Hughes Hubbard & Reed announced today that Roel Campos and Terence Healy will join the firm as partners in its Washington, D.C. office. The two will lead the firm’s Securities Enforcement Practice Group as Chair and Vice Chair, respectively. 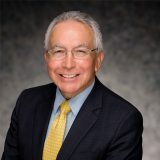 Campos served as Commissioner of the Securities and Exchange Commission (SEC) from 2002 to 2007. Earlier in his career, he served as an Assistant U.S. Attorney in Los Angeles. Healy served as Senior Assistant Chief Litigation Counsel for the SEC’s Division of Enforcement from 2008 to 2012. In that role, he prosecuted violations of the federal securities laws as part of the SEC’s Trial Unit. Before joining the SEC he was a Trial Attorney for the U.S. Department of Justice (DOJ). Campos and Healy regularly advise corporate management teams, boards of directors, private funds, and individuals on a variety of regulatory and enforcement issues. Both have extensive experience representing clients in regulatory investigations and enforcement proceedings before the SEC, DOJ, Financial Industry Regulatory Authority (FINRA), and other financial regulators. Both partners also bring a deep understanding of issues related to accounting and financial fraud, the Foreign Corrupt Practices Act (FCPA), private fund management, insider trading and corporate governance. During his tenure as SEC Commissioner, Campos presided over hundreds of complex enforcement cases. He served for five years as the Commission's liaison to the international regulatory community and became well known among international regulators. He also facilitated the development of international auditing and accounting standards through his work as Chair of the Monitoring Group and Vice Chair of the International Organization of Securities Commissions (IOSCO). From 2008 to 2013, Campos served on the Presidential Intelligence Advisory Board (PIAB), the oldest and one of the most prestigious of the Presidential citizens advisory boards. Campos also serves on the PCAOB Advisory Council. Prior to his nomination to the SEC, Campos spent five years as a federal prosecutor in the U.S. Attorney's Office in Los Angeles. He graduated from the U.S. Air Force Academy and served as an officer in the U.S. Air Force. Campos received his M.B.A. from UCLA and a J.D. from Harvard Law School. 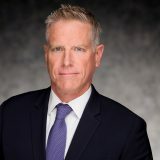 Healy is a seasoned trial lawyer who regularly advises financial institutions, public companies, and individuals in matters related to securities enforcement, internal investigations, and complex litigation. In both private practice and with the SEC and DOJ, he has successfully represented clients in complex disputes before trial and appellate courts throughout the country. He has been lead trial counsel in numerous complex matters tried to verdict, including an SEC enforcement action against the CEO and CAO of a large public company. He has also led internal investigations into securities fraud and related issues. As Senior Assistant Chief Litigation Counsel for the SEC's Division of Enforcement, Healy represented the Commission in cases related to accounting fraud, revenue recognition, insider trading, FCPA, structured products, and other issues. Prior to joining the SEC, Healy was a Trial Attorney at the Department of Justice. He received his B.A. from the University of North Carolina and a J.D. from American University, Washington College of Law.